Rest in peace. We’re remembering all the stars we’ve sadly lost in 2019, from Broadway icon Carol Channing and musician Daryl Dragons to Beverly Hills, 90210 star Luke Perry and legendary fashion designer Karl Lagerfeld. Scroll through the gallery below to pay tribute to celebrities who’ve died this year. The singer, songwriter, environmentalist, educator and philanthropist — who was married to Neil Young from 1978 until 2014 — died on January 1 at age 66 after battling cancer. The Captain and Tennille actor sadly passed away from kidney failure on January 2. He was 76 years old. Steve Buscemi‘s wife — who worked as a filmmaker, choreographer and artist — died from encapsulating peritoneal sclerosis on January 6. She was 64 years old at the time of her passing. The Broadway icon passed away on January 15 at age 97 from natural causes. The actress, who was best known for her role on the 1960s TV show The Mothers-in-Law, passed away at age 93 on January 21. The Grammy Award-winning R&B singer sadly died at age 66 on January 29 after battling brain cancer. The Young and the Restless soap star died at age 52 on February 3 from a reported alcohol overdose. The iconic fashion designer died on February 19 in Paris. He was 85 years old. Charo‘s husband, film producer Kjell Rasten, sadly died at age 78 on February 17 from an apparent suicide. The Monkees bandmember sadly died at age 77 on February 21. Though his cause of death was not stated at the time of his passing, the bassist and singer was diagnosed with a rare form of cancer affecting his tongue back in 2009. The Who’s the Boss? 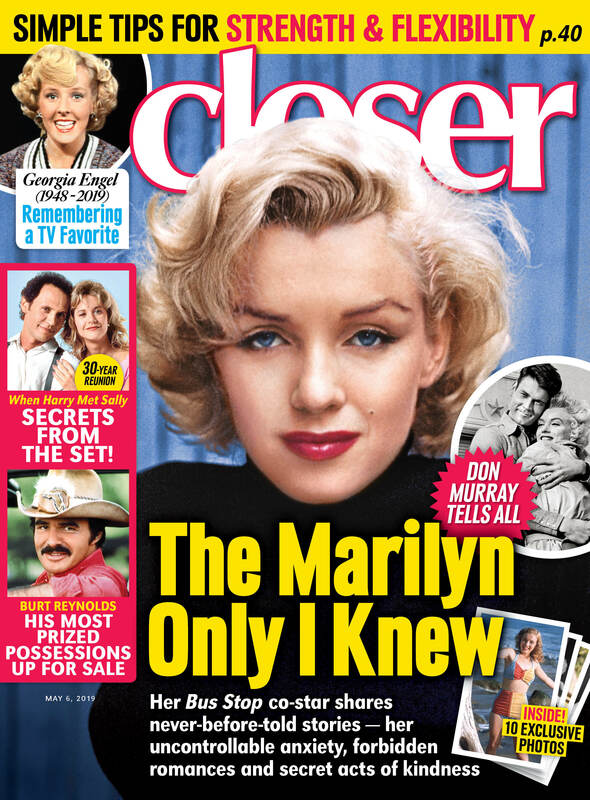 star sadly passed away at age 89 on February 23 after suffering from Alzheimer’s disease. The Beverly Hills, 90210 star sadly died at age 52 on March 4 after suffering a stroke. Julia Ruth Stevens (seated at the piano in the above photo), the adoptive daughter of baseball legend Babe Ruth, died at the age of 102 on Saturday, March 9. Per the New York Times, Julia is survived by a son, two grandchildren and four great-grandchildren. On March 29, the family of French director Agnés Varda revealed that she had passed away from cancer one day earlier. The iconic director was 90 years old. Shane Rimmer, famous for voicing the character of Scott Tracy on Thunderbirds and appearing in several James Bond films passed away on March 29. The English actor was 89 years old. On April 8, news broke that Seymour has passed away after a battle with Alzheimer’s disease in Los Angeles. The actor, known for his work in Wes Anderson‘s films, was 84. The actress, best known for The Mary Tyler Moore Show and Everybody Loves Raymond, died on April 12 at the age of 70. Her cause of death is undetermined because she, being a Christian Scientist, did not consult a doctor. Ken Kercheval — the best known for playing Cliff Barnes on Dallas from 1978 until 1991 — has died at age 83. He is the only star, besides the late Larry Hagman, to have starred on the show’s entire run. In fact, he even returned for the reboot from 2012 until 2014.